You would think a gathering of that multitude and its significance in Scotland’s Tapestry would have a full quota of BBC,STV and Sky mobile units jostling for the best view points and ways to capture the event. Imagine my surprise when I hear that none of the terrestrial channels are in the press pit or in attendance with any form of coverage? 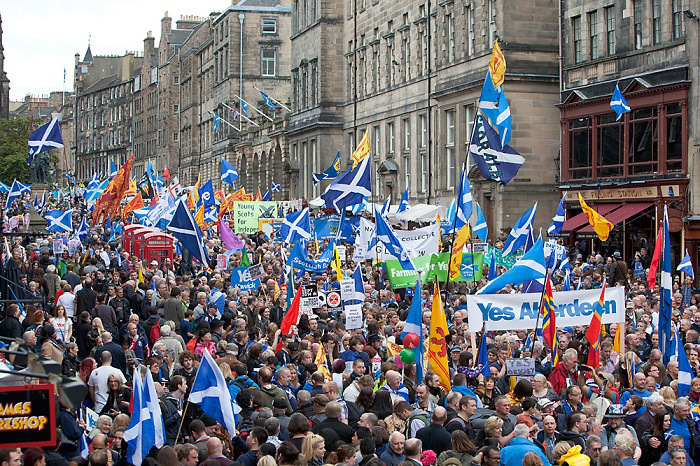 No mobile units with satellite dishes on top or crane cams being set up at the High street to capture the mass of flags and banners.Neither were there any reporters jostling through the crowds getting interviews from participants and hearing their stories of why they are voting Yes. Its a strange set of affairs when Russia Today are more interested in our Nations future than the stations who rely on our licenses and viewing figures for advertisers and in turn revenue.There again we have observed and witnessed the lack of impartiality from our terrestrial channels in the past year so maybe we shouldn’t be surprised by the No show. It wasn’t the lack of attendance that concerned me but what happened later that discombobulated me slightly and made me think someone needs to be held to account over this. The 30’000 had been reduced to 8000 according to the BBC and STV only broadcast a 30 second sound-byte of coverage on Saturdays short but sweet News broadcast. Where did the other 22’000 go?Was there a closing down sale at the Harry Potter cloak shop.Did a strange mist come from the Forth and envelope the missing 22’000 in a pea soup like fog?Aliens maybe or did Scotty hit the wrong button and beamed the 22’000 up to the Enterprise? Sadly it wasn’t anything half as exciting as the mother-ship theory it was more the case that None of our Terrestrial News networks were there as they had committed the sin of JournoSloth. 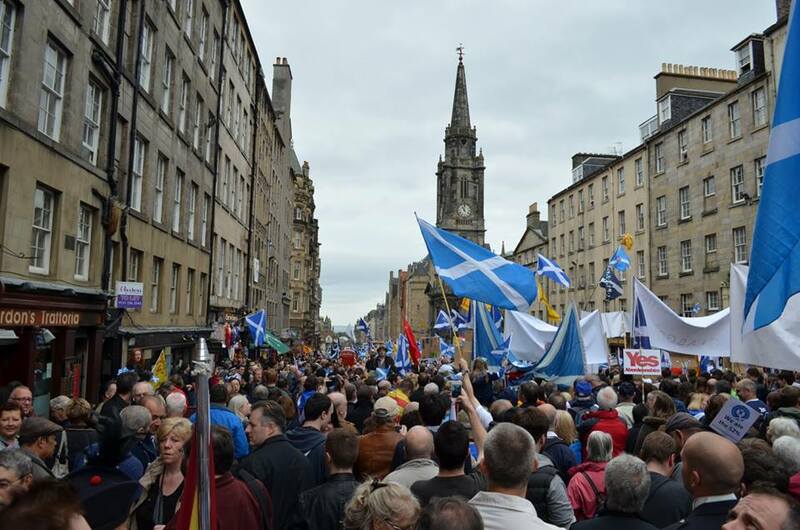 Our so-called free press contacted Police Scotland before the march had even started to inquire about”Estimated”numbers coming to the event.Not even the factual numbers after or during the event but the “Estimated” numbers and run with that scoop on our National networks. Nope we got niada,niet and nothing more which meant the people who couldn’t make it or weren’t informed of it didn’t get the chance to view or witness this day of Historical value.Neither did the protagonists of either camp get the chance to debate the days events as both the main channels didn’t deem it worthy of airtime? 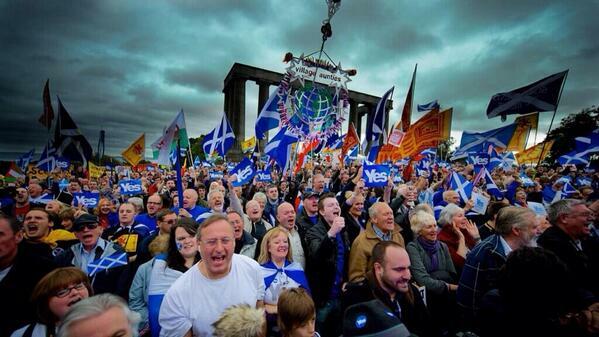 How are people supposed to make a reasoned choice about our independence if the three terrestrial news channels misrepresent it and basically have a media blackout on one of the biggest days in Scotland’s rich tapestry? 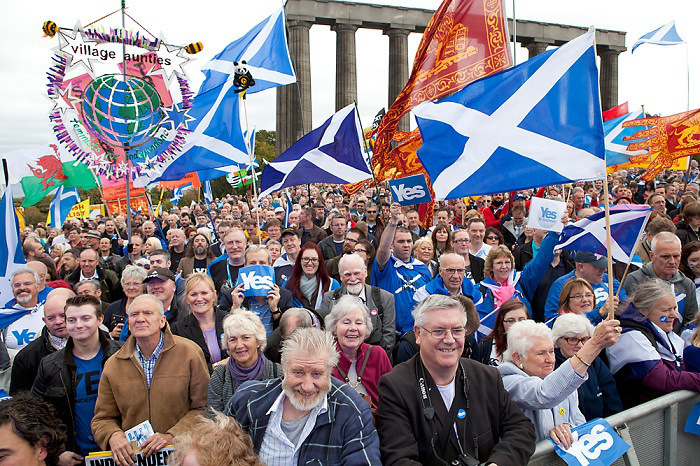 Which leads me on to say that from all accounts the march and rally was a resounding success and no doubt will be placed in the pages of Scotland’s history.The day where many of Scotland’s Sons and Daughters marched through streets soaked in history to the top of Calton Hill and lit a beacon in the hearts and minds of many. The winners take nothing at all!